Carol was the most amazing host, she attended the pool bar during the day where she whipped us up food and drinks if we needed. Our room had a huge balcony overlooking the pool and a view of the sea. The apartments were located near some amazing reastuarants and was less than 10 minutes walk to Pefkos main area (we liked that we were away from the main area as it was nice and quiet). Lovely little place, with all facilities you need for a relaxed vacation. Clean and idyllic. Located in a quieter area just outside of Pefkos. A very personal touch, where you're on a first name basis with the hotel owner. Good services with a big heart. 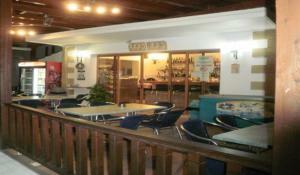 Clean and very nice pool and pool area with quiet beautiful surroundings/greenery. Nice patios/balconies. WiFi and AC included in the price, but WiFi signal is weak indoors. The place is quiet but not far from Pefki centre. The air-con worked very good. The fridge is quite spacious. The mirror is big. Nice and clean outdoor pool. The host provided us with additional table when we requested it - without it we really lacked some surfaces to put our stuff. The pool is always available for a swim. The location is peacefull and quiet with Kavos beach on walking distance. Nearby is a small supermarket and an ATM (They charge extra). The attendant, Carol, is very helpfull with suppling local information. It was simple and so well looked after. Cleaned everyday and ac was included which is great. Their greatest asset though is Carol who looks after you so well. Spare towels to go on the beach, checking you’re ok and beautiful snacks - Greek salad and yoghurt, fruit, nuts and honey to die for! Clean, good location, very friendly staff. Carol you are the best! We loved our stay at filoxenia. The pool is Lovely! It is a nice and small calm place, perfect voor resting but very near to the beach and to to centre. The host Carol is so warm, friendly and such a Sweetheart! Pefkos is a very nice place! A/c included, Carol fantastic host, room cleaned daily,nice and quiet, more than friendly cat! Lock in a great price for Pefkos Filoxenia – rated 9.1 by recent guests! One of our best sellers in Pefki! Just 150 feet from 2 beaches in Pefkos village, Pefkos Filoxenia features an outdoor pool and a separate one for children, amid a lush garden. It offers self-catered accommodations, free Wi-Fi and a poolside snack bar. 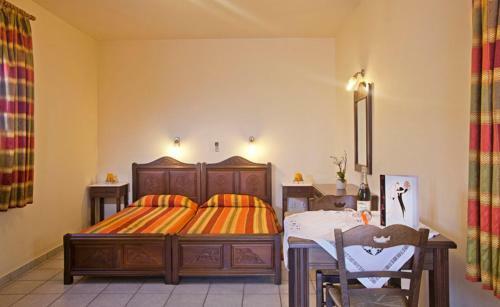 Pefkos Filoxenia consists of air-conditioned studios and apartments with simple or traditional decoration. 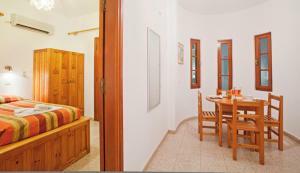 They all open to a shared patio or private balcony with garden, pool or Aegean Sea view. 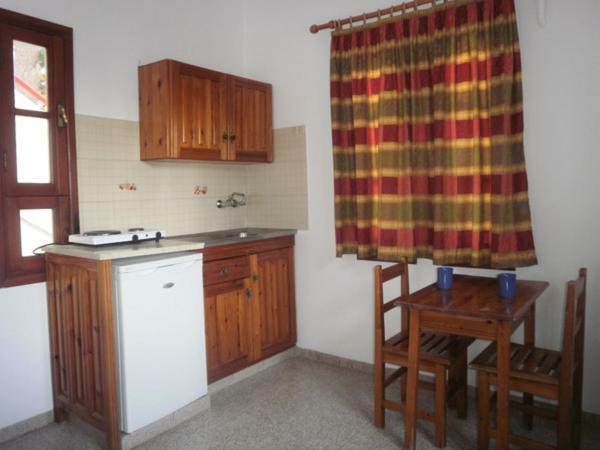 Each has a kitchenette and private bathroom with a hairdryer. Guests can start their day with a continental or full English breakfast. Refreshing drinks and snacks are served at the bar, next to the pool. Taverns, bars and shops can be found within a short walk. The property lies 3.1 mi from the historical village of Lindos and 34 mi from the Old Town of Rhodes. Free, private parking is provided on site. 뀐 Located in the top-rated area in Pefki, this property has an excellent location score of 9.2! When would you like to stay at Pefkos Filoxenia? Located on the ground floor and only 164 feet from the beach, this air-conditioned studio features free Wi-Fi, a kitchenette and hairdryer. It opens to a shared patio with outdoor furnishings. Decorated according to the Lindian style, this air-conditioned studio opens to a balcony with Aegean Sea and garden views. Only 164 feet from the beach, it features free Wi-Fi, a kitchenette and hairdryer. 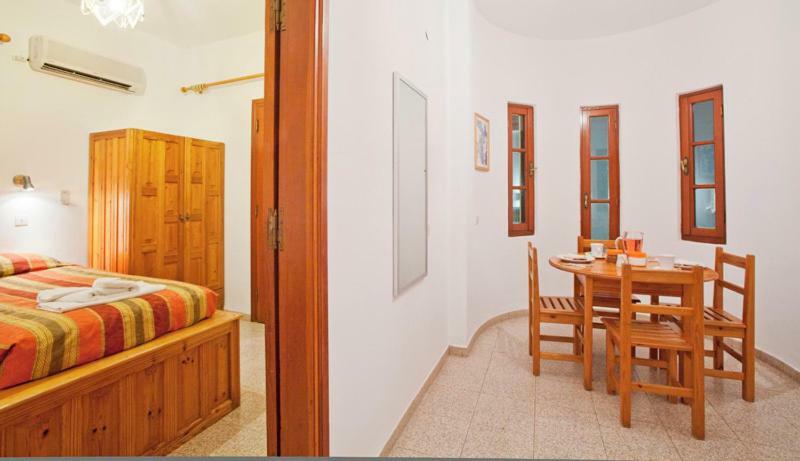 Fitted with carved, wooden furnishings, this air-conditioned studio opens to a pool-view balcony. Only 164 feet from the beach, it features free Wi-Fi, a kitchenette and hairdryer. Opening to 2 balconies with Aegean Sea and pool views, this air-conditioned apartment is decorated according to the Lindian style. Located on the first floor and only 164 feet from the beach, it features free Wi-Fi, a kitchenette and hairdryer. House Rules Pefkos Filoxenia takes special requests – add in the next step! The only thing needed in the apartment was bathroom could do with updating but still not a negative. The toilet made some funky noises and the beds were crazy hard. And in the name if saving Mother Earth, there really is no need to change towels and bed linen every day. The interior in our 'studio deluxe' room (not like the one shown on photos) is not so cozy: on the one hand, the furniture is placed in such a way that it takes nearly all the space, on the other it lacks surfaces like tables or shelves. The lamp in the bathroom is dim. The mattresses were uncomfy. The dish-washing liquids were not initially in the room, but they may be provided. The bathroom of our room (#1) is poor with scanty watersupply and nearly no warm water. We complained several times about this and the owner did no do anything to fix this. After the sewer flooded, Carol luckily relocated us in another room (#5) that did have ample water supply and firm warm water although the shower cabin is very small and doesnt have doors in it. The separation walls of the shower have major cracks in it. In both rooms the matrasses are old and overslept. The airco was leaking drain water and the rooms did not smell good. The beds were a bit on the hard side. The cleaning lady was too pushy. 3 nights we didnt have warm water and two nights of them no water at all But..there was the great pool! Booking.com is saying there is a biljart en airportshuttleservice but there is not. The staff and the location were perfect. Lovely peaceful location. Nice swimming pool on site. Very short walk to the beach. The water cut out twice during our ten day stay. 5 minutes from the beach 5 minutes from the main strip. Quiet area. Carol was really helpful, helped us with directions and transport needs. Good pool, always enough loungers.